Marketplaces and prices shown matched UPC number 841058020233 during our search. 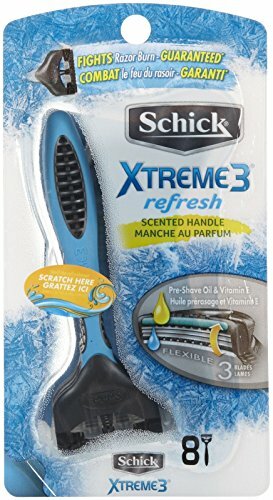 The Schick Xtreme3 Refresh razor features 3 blades that flex and pivot while shaving, optimizing contact with your skin to give you a close shave while guarding against razor burn. 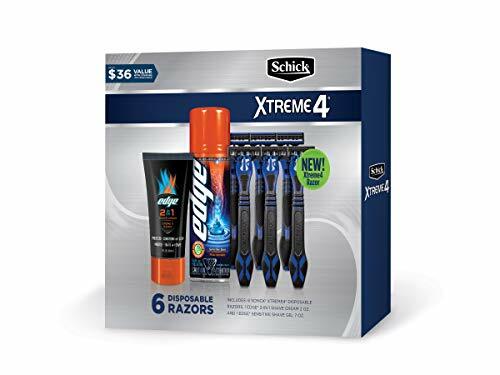 Lubricating Strips with Vitamin E and Aloe: Ideal for men with sensitive skin, it features dual comfort strips to enhance razor glide to help protect your skin against nicks and irritation. 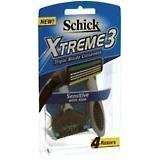 This razor is designed with an ergonomic rubber handle that's easy to maneuver for a steady, comfortable shave - on your face or general body grooming. Best of all, it is disposable so it easily goes anywhere you go. 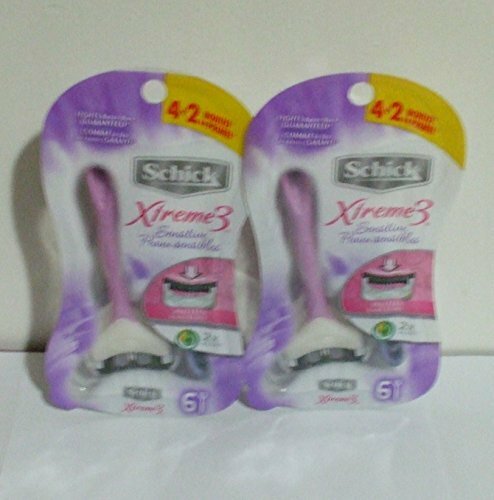 It's the perfect razor for travel, the gym, the beach, or to keep on hand for quick touch-ups.